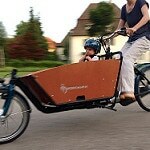 Bakfiets en Meer » Blog Archive » What’s really new in bicycle world? 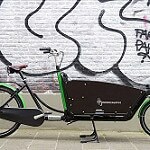 What’s really new in bicycle world? The first bike that caught my eye though was this 1890 “lamplighter’s bike” from New York City. 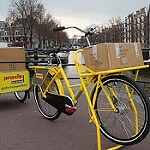 You see a 250cm bike was the perfect way to reach a flame into hundreds of streetlamps each evening. Just ride along and dab the burning stick into each oil lamp as it comes along. 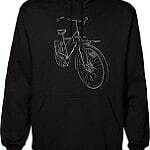 But wait a minute, you object, isn’t this just a “tall bike” like those weird anarchist dudes do their jousting on? Yes, exactly… except that they just reinvented it, uglier and worse, 100 years later. 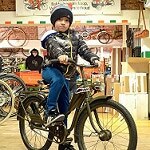 And this is exactly my point: Most of the real “invention” and “development” of the bicycle occurred more than 100 years ago, back when the bicycle was one of the pinnacles of technology, and certainly the highest tech thing an ordinary person could get their hands on. 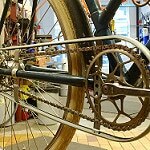 As I recall some of the things that were developed for bicycles: steel tubing, ball bearings, pneumatic tires, the tensioned spoke wheel, the roller chain drive and the list goes on. 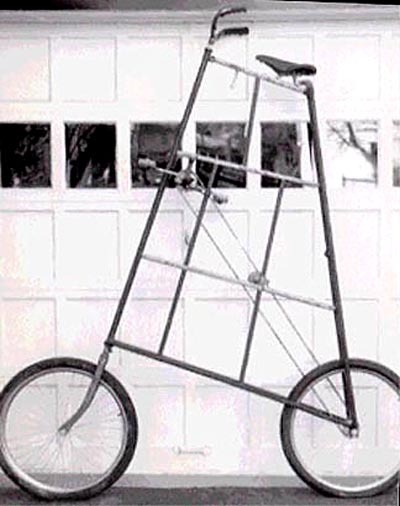 People often poo-poo of the achievements of the Wright Brothers because they were bike makers by trade, but this completely misses the point that the bicycle techies of that day were amongst the best suited to be experimenting with aerodynamics (which nobody understood yet) and lightweight, efficient structures. 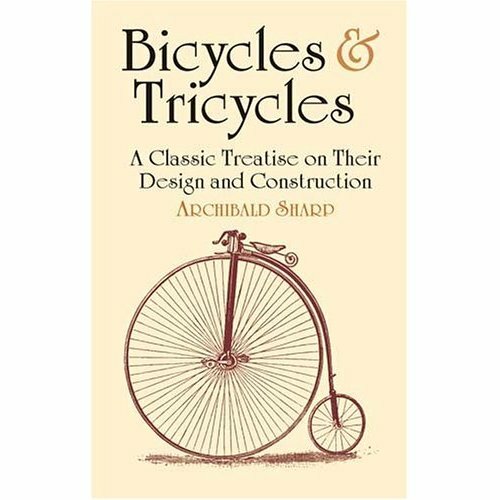 With the aid of elegant, sometimes humorous drawings, the book examines various designs for their relative stability, steering advantages, gearing and resistance properties. The final selection discusses the design of individual components in detail, including the frame (from the point of view of stress analysis); wheels; bearings; chains and chain gearing; toothed-wheel gearing; the lever-and-crank gear; tires; pedals, cranks and bottom brackets; springs and saddles; and brakes. Even if you couldn’t read English or simply can’t be bothered to follow the scientific explanations the illustrations would be worth looking at. 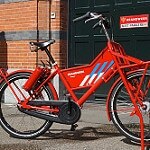 There are images and often scorching analysis of all sorts of bike and component designs that have been unwittingly (or knowingly?) 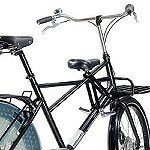 reinvented in the intervening 120 years: disk wheels, belt drives, suspension frames and forks, shaft drive, two-speed epicyclic cranks and many more examples. 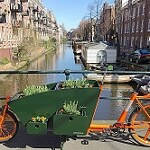 Here is thus where we focus our efforts at WorkCycles; not attempting to reinvent the wheel, but merely refine it. 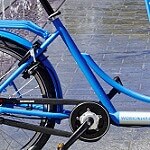 This can require searching back a few steps to see where things went wrong (city bike ergonomics) or developing our own knowledge where there doesn’t seem to be any useful history to rely on (steering geometry for very heavily loaded bikes). All the while the designs remain timeless, but not for the sake of “retro style”. We’re either maintaining highly developed designs that are still fundamentally sound or creating new ones with the recognition that the products of evolution rarely fall far from the apple tree. 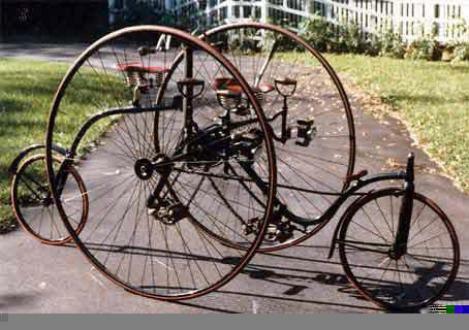 This entry was posted on Thursday, October 1st, 2009 at 18:57	and is filed under Antique/old bikes and history, Cool & Interesting bikes, Elsewhere in the world.... You can follow any responses to this entry through the RSS 2.0 feed.You can skip to the end and leave a response. Pinging is currently not allowed. I love the bike on page 289. I suppose the difference between then and now is Comfort. All the little Tweaks down through the Years to try and improve things. Two Steps forward and one backwards,sometimes they make a complete Hames of Designs and have to Recall Bikes to try and Fix things. 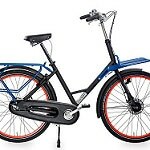 The improvements that can be made are mostly Ergonomic like more Wider Hand Grips for the Handlebars or better Pedals that your Feet do not Slip off in the Wet. Or making the Clearance between the Front Wheel and your Foot better so you do not Hit off the Wheel when turning a Corner. Some Bikes are Notorious for that,even Top of the Range Racing Bikes. I found it at the library of the local university, very interesting. I especially like the section on perfectly braced frames. 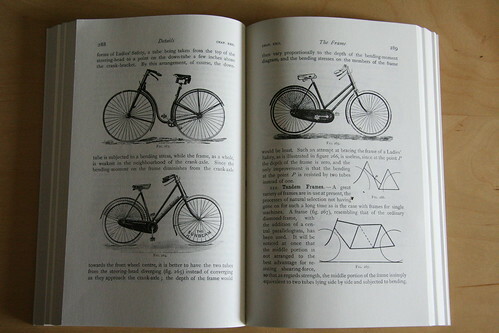 The author also includes a few bicycle parts of his own invention that would be interesting to try out. I have a 70cm Kruisframe. It’s a beauty but suffers from that very flaw. Seems like there is still work to do there! You’re correct and I didn’t claim to be exempt from my criticism. 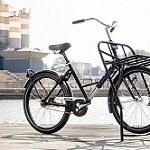 Some of our frames (the traditional Dutch city bikes) are not of our own design… yet. We’re slowly working on developing the entire line. 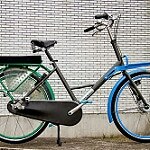 No criticism specifically of Workcycles was intended. It was really just an observation that in over 100 years of evolution the cycle industry can still get the basics wrong. Exactly. With each step forward it seems that somebody ignores or forgets something else important. 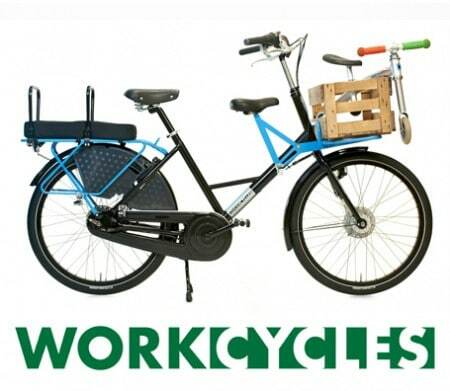 WorkCycles is just a little company and sometimes we have to work with what we can get while we slowly develop our own parts that more fully meet our demands. 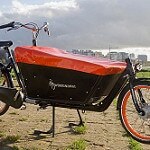 Even then it’s not economically practical to make some parts in quantities of just a couple thousands units or less.